The Southern Splendour Holiday Package | Call On +91-993.702.7574 For Booking. South India has this uniqueness to it, that mesmerizes everyone. That relentless beauty which lingers through your memories. The Southern Splendour Holiday Package offers a variety of options to explore, magical South India. It is no exaggeration to say that the Southern part of India is extremely rich in culture. Most of the cities of this part of the country are filled with a lot of scenic beauty. They also boast of being home to some wonderful pieces of architecture. The Southern Splendour Holiday Package takes you to the natural wonders, amazing architecture and mesmerizing hill stations. From a group of adventure seekers to solo travellers, a small family outing or a large group travel, it has something to offer everyone. What makes The Southern Splendour Holiday Package special is not only its extensive varieties but also our timely services, 24/7 availability of travel advisors, personalised assistance for every tour related requirement along with best of the facilities. This 5D/4N plan will let you explore most of the places in the south so that you have a gala of experience. The Southern Splendour Holiday Package will make your holiday worthwhile. After an early breakfast departure to Ooty ( 160 km / 4.5 hrs. ), the Queen of Hill Stations. 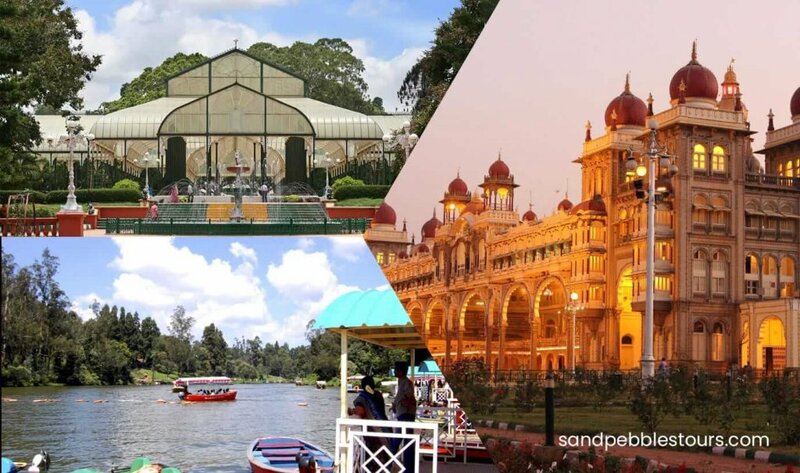 Visit Botanical Gardens and the scenic Ooty Lake where you may enjoy a boat ride. Doddapetta Peak, Wax museum, Rosegarden. Overnight stay at OOTY. After breakfast proceed to Coonoor (25 km. / 1 Hr.) Local visit Ketti Valley view, Sims Park, Tea garden, Lams rock, Dolphin Nose and back to Ooty. Overnight stay at OOTY. After breakfast check-out from hotel and Departure to Bangalore (275 km. / 7 Hrs.) and drop at Airport / Railway station. Tour concludes.